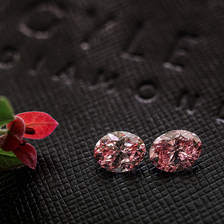 One of the greatest attributes of natural Pink Diamonds is that in addition to their contribution to a magnificent piece of jewelry, they act as exceptional investments as the value of Natural Pink Diamonds continues to dramatically increase over the years. We have put together some auction results between earlier years and current days to demonstrate the pink diamond market trends over time. In order to properly display the increase in value, we focused on public auction results of pink diamonds with similar attributes, such as size and color. Nobody has the ability to predict the future. However, we do possess the ability to analyze the information presently available. Over time, the prices of pink diamonds have consistently appreciated and there is a clear presence of high market demand. There is good reason why these stones do so well auction and why the two most expensive diamonds ever sold at auction are pink diamonds. That is a fantastic 433% price appreciation over a seven-year period! This is an outstanding 544% increase over the course of twelve years! Although the round diamond ring sold in 2013 was over three times smaller than the other (0.51ct versus 1.60ct), it still showed an outstanding 238% price increase! 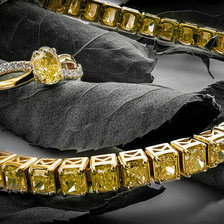 Needless to say, if the ring was a similar size to the 1.60ct, the price appreciation would have been far more dramatic. Here was see a 67% appreciation over seven years time. A fantastic 183% price increase over the course of six years! The Graff Pink - Set the record for "the most expensive diamond ever sold at auction!" In November 2010, Sotheby’s Geneva sold The Graff Pink, a 24.78-carat potentially flawless Fancy Intense Pink diamond for an astounding $46.2 million. 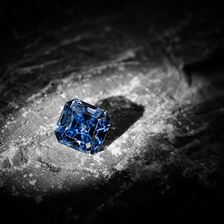 The Princie Diamond - Set the record for "the second most expensive diamond sold at auction!" In April 2013, Christie’s sold the Princie Diamond, a 34.65-carat VS2 clarity Fancy Intense Pink diamond for a fantastic $39 million ($1.1 million per carat). The Vivid Pink - Set the record for "the highest price per carat paid at auction!" In December 2009 Christie’s Hong Kong sold The Vivid Pink, a 5.00-carat potentially flawless, type IIa, Fancy Vivid Pink diamond ring for US$10.78 million (US$2.1 million per carat). Today, the diamonds sold in the world’s largest auction houses, Sotheby’s and Christie’s, basically define the going prices for these magnificent stones. The tables above clearly demonstrate the trend of natural pink diamonds in today’s market. As a result of the rarity of natural pink diamonds and pink diamond jewelry, there is good reason why these stones do so well auction. Let is be known that it is no surprise at all that 30% of the 16 price records broken at auction over the past few years belong to Pink Diamonds. 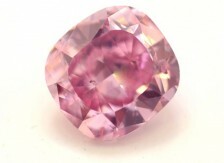 Furthermore, it is quite understandable why the two most expensive diamonds ever sold at auction were pink as well.